Jennifer Ann is a medicine singer song writer from Holland/USA with her roots in mantra and medicine music. Her voice is soulful and warm and her fans describe it as a mothers embrace. In her search for the medicine and healing powers within music. She follows the traditions of mantra chanting and tribal ceremonial music. This is the groundwork for her original songs that she is now sharing the world. 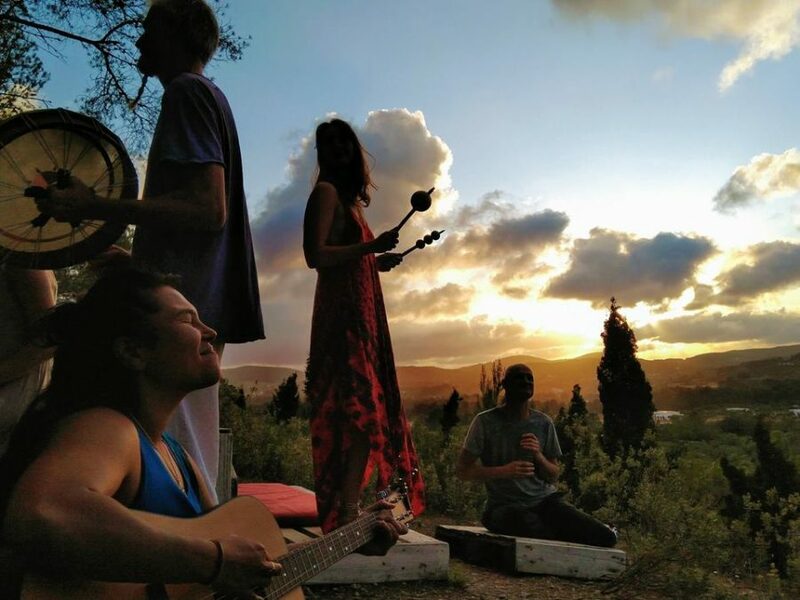 These new songs are a fusion of tribal music and folk/singer-songwriter blended together as prayers for a better world. Jennifer Ann has over twelve years of development in creativity and energy alignment. Her latest endeavor is the discovery of the healing powers of transformational breath. Within all her teachings the breath seems to be the source and connection to this life. Transformational breathing is one breath continuously flowing in and out through the mouth (or nose) without pause. Allowing the participant to discovering the true power of breathing completely and fully. Other effects can be re-programming the diaphragm (allowing more prana (life) force energy into the body), releasing trauma, overcoming fears, reaching levels of clarity, and the relief of ‘brain fog,’ to name a few. Over the course of a lifetime all humans develop some type of resistance and trauma, this is energetically stored in the body through habitual patterns, fears, thoughts and memories; they especially manifest within the breath. Transformational breathing is a simple, yet very deep, and effective practice that is safe and invigorating. The participant is in full leadership of their own healing, choosing the depth, tempo and timing of the unfolding of the breath journey. Because the participant is responsible for their own process, it’s gives responsibility back. Allowing participants to journey inward, rather than projecting outward. This is precisely where we can create inner healing, inner peace, and allow people to take leadership of their lives. If you are ready, come join this transformational healing journey.